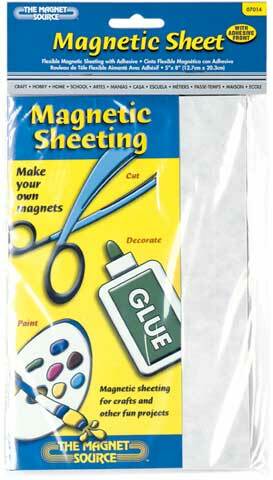 This Flexible Magnetic Sheet is large enough to cover the entire back of most projects, and because cuts easily with scissors, it can be fitted to smaller projects. The 5" x 8" sheet features an adhesive back - just peel and stick to any surface, or adhere decorations like colored sand, fabric, colored paper and much more. Ideal for home, office or school.